2018-01-31 | Black Soil OUT NOW! The album is also available on all major digital platforms! 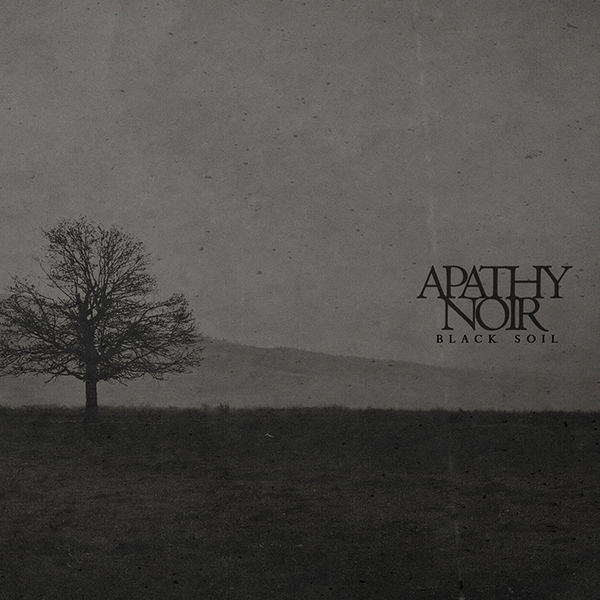 Head over to Apathy Noir Offical Facebook for all the latest news, reviews etc! 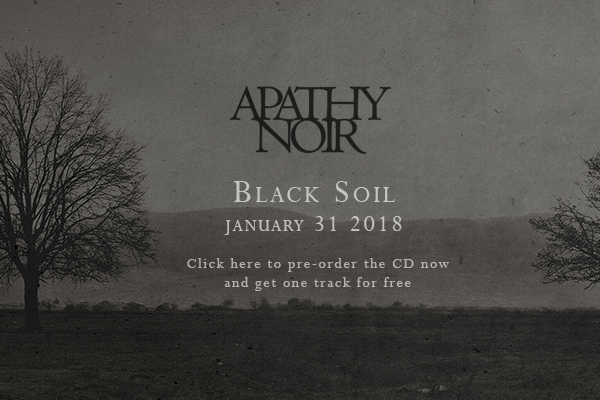 Black Soil will be released on January 31st as a digital download and a Digipack CD. You can pre-order the album now from Bandcamp! Click on the image below to place your pre-order. Time to reveal the artwork and track listing for the new album, which will be titled "Black Soil". The album will be released in January 2018 (no specific date is set yet). It features guest musician Andy Walmsley (Beyond Grace) on vocals and a special appearance by Lars Björkens (Throne of Heresy) with a couple of guitar solos. Photography for the artwork was provided by Arthur Kornovics. The album will be released on CD as well as on all major digital platforms. More details will be released in the weeks leading up to release. Get the latest info on our Facebook page.